The Aftershock event began after Rex from Garage Project Motorcycles in Perth watched a video of Dirt Quake back in 2013. Since then Sydney Café Racers (SCR) have been putting on this invite only event on a private farm just outside of Sydney. The Mantra is simple gather as many inappropriate road bikes as possible, from various builders and punters on the dirt and this year MUD racing each other! 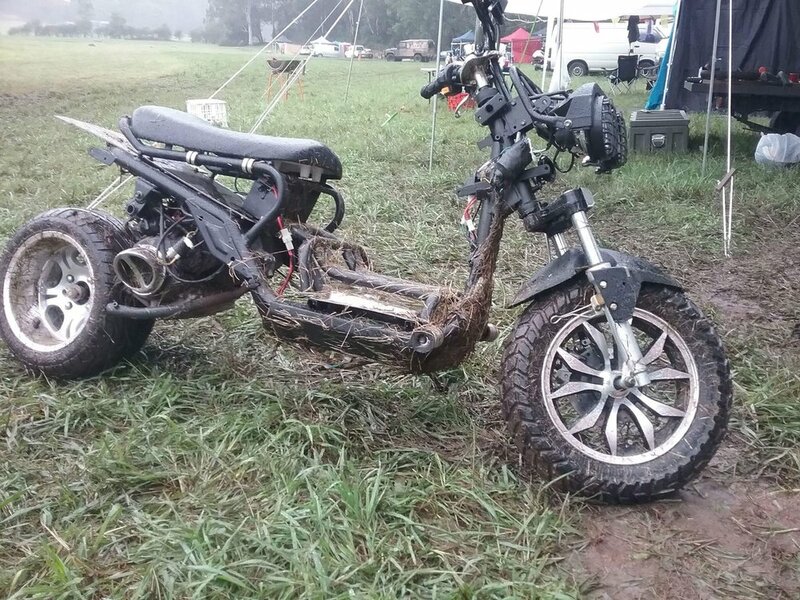 We donated our parts scoots to David Brow (EOM) to have a little fun with… Here are some photos of the hunter in its (un)natural environment. You will notice the swing arm, battery box and a number of street legal components have been removed. 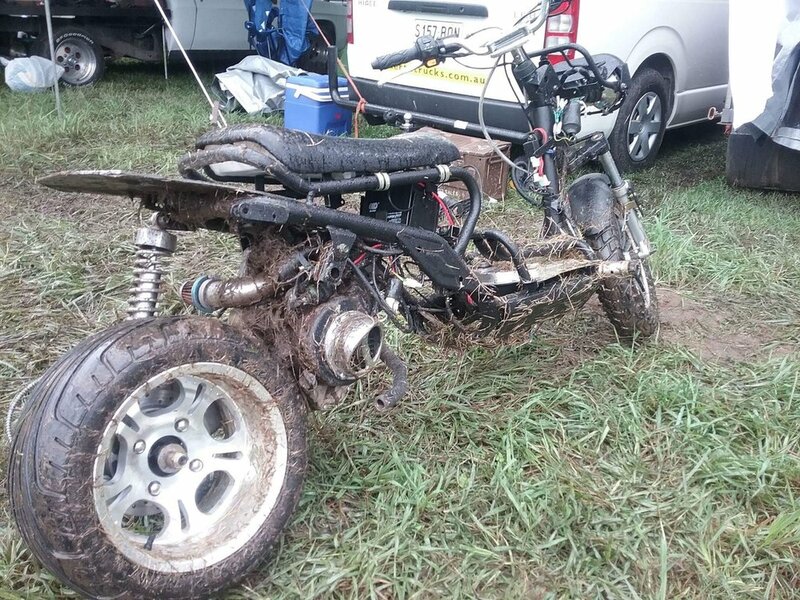 We see our little street beast showing its versatility and yes that big fat slick tyre on the Mud created a great drift scoots! David Getting the Fire Started! a little mud with do her good! Bare Bones need a wash down!